The Instant Pot is a kitchen gadget that seems too good to be true. It claims to be able to replace several other appliances and cook time consuming things like sweet potatoes in only a few minutes. It's not too good to be true. And for a working mom, it's a necessity. When I do the bulk of my cooking on the weekends, It's not unusual for me to use my Instant Pot four times each weekend day! If you're not an Instant Pot owner already, at the very basic level, it's an electric pressure cooker that also has a saute mode and a slow cooking mode. You can cook rice, hard-boiled eggs, pasta dishes, soup, a whole chicken in it and more. 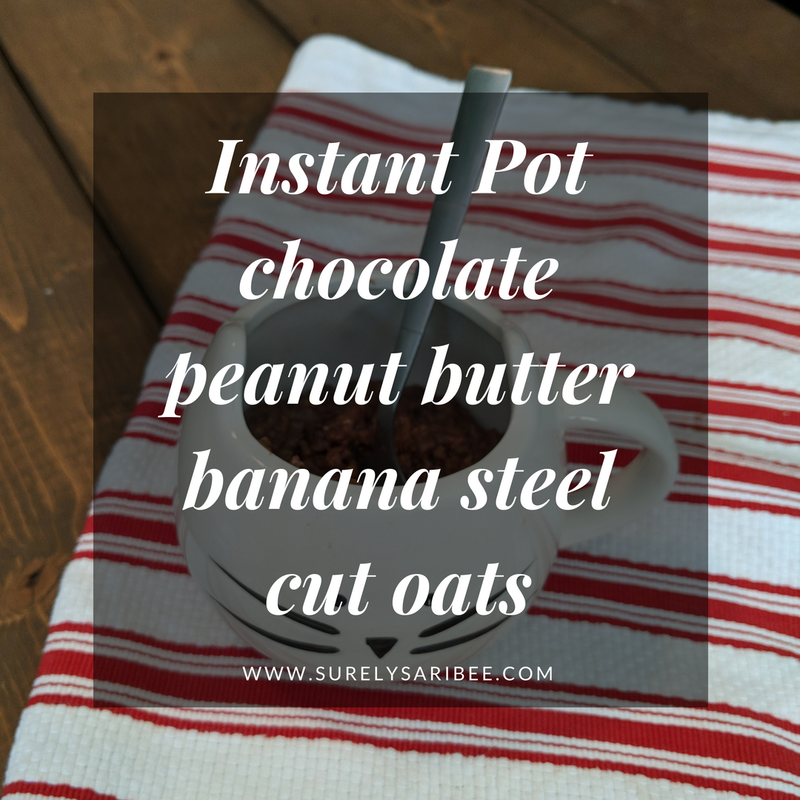 If that's not enough to convince you, maybe this recipe for chocolate peanut butter banana steel cut oats will. This recipe is my version I've perfected over a few months, using bits and pieces of other recipes. And of course, all of the ingredients can be found at Aldi. I add a little bit of sugar to it when the bananas aren't super ripe. Otherwise, there's no sugar in it apart from the natural sugars in the bananas and what is in the peanut butter you get! It tastes kind of like those no-bake chocolate oatmeal cookies without all the sugar! I love making this on the weekends because I can reheat it for breakfasts for the first part of the week...or dessert. Yeah, more like dessert for the first part of the week! Combine all ingredients except peanut butter in the Instant Pot. Cook on manual pressure for 9 minutes and allow a natural pressure release. Stir in the peanut butter.